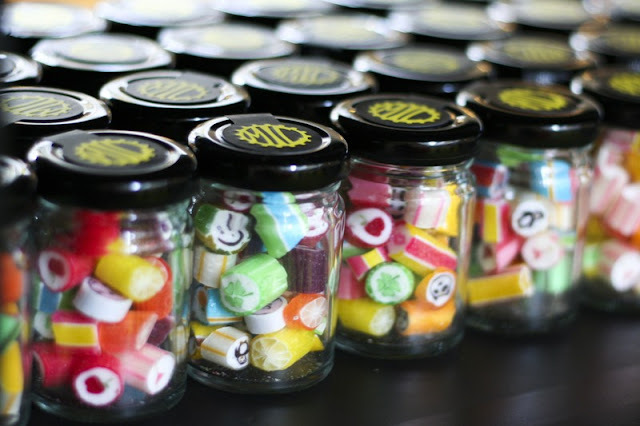 Singapore's sweet-shop, Made in Candy, arrived in the country just in time for "candy season", better known as Trick or Treat. 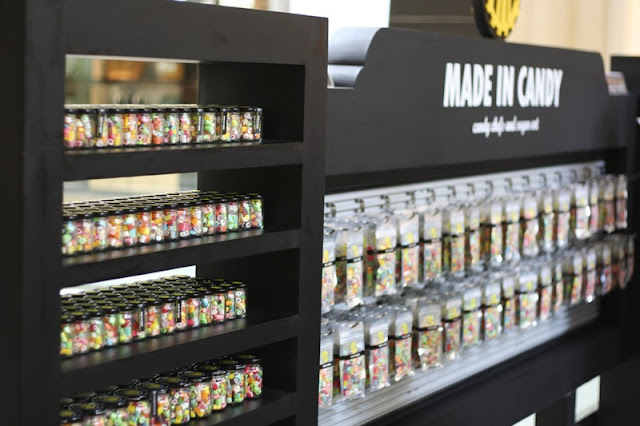 Made in Candy started producing colorful hand-made rock candies back in 2009. Candymen, Ong Wei Kian, Wayne, and Bryan Ong, are the brains and hands behind the sweet treats. 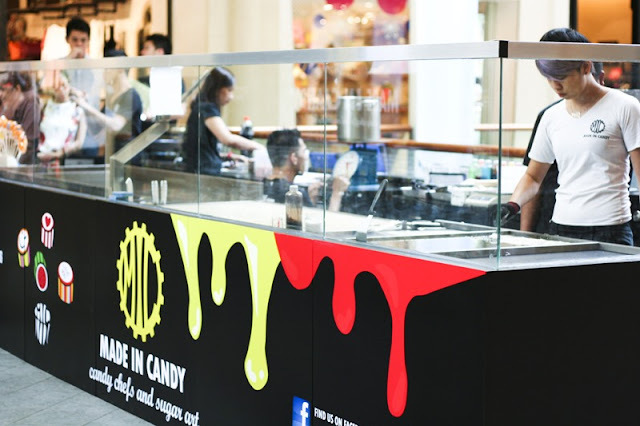 The three owners mastered the art of candy making before opening up their first retail outlet at United Square Shopping Mall in Singapore. 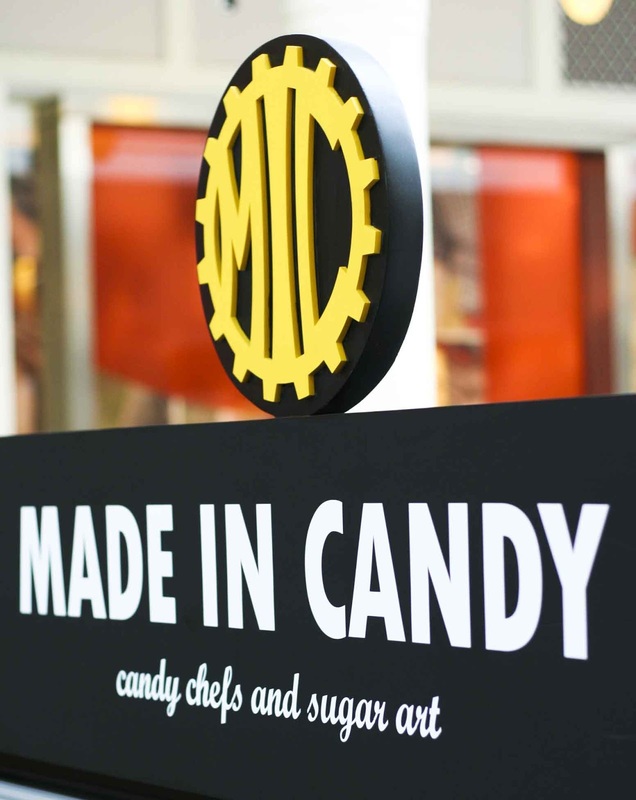 The simplicity of Made in Candy's store design and color hues makes the products standout. 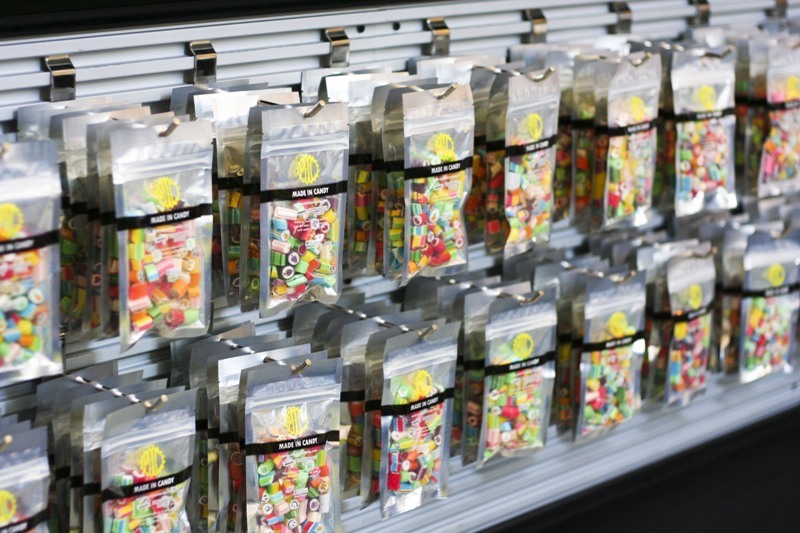 This is not your typical candy store given the edgy design. We're so used to seeing conventional candy stores bathed in all colors of the rainbow (just like in a dream) that having black as the dominant color makes the store interestingly unorthodox. Clearly, the adults were given consideration during the design phase of a store that is originally made for kids. What sets Made in Candy apart from the other candy stores is its customized candies for all occasions (birthdays, wedding, corporate branding). The relatively new concept fits well in a society where every little thing is celebrated...big time! 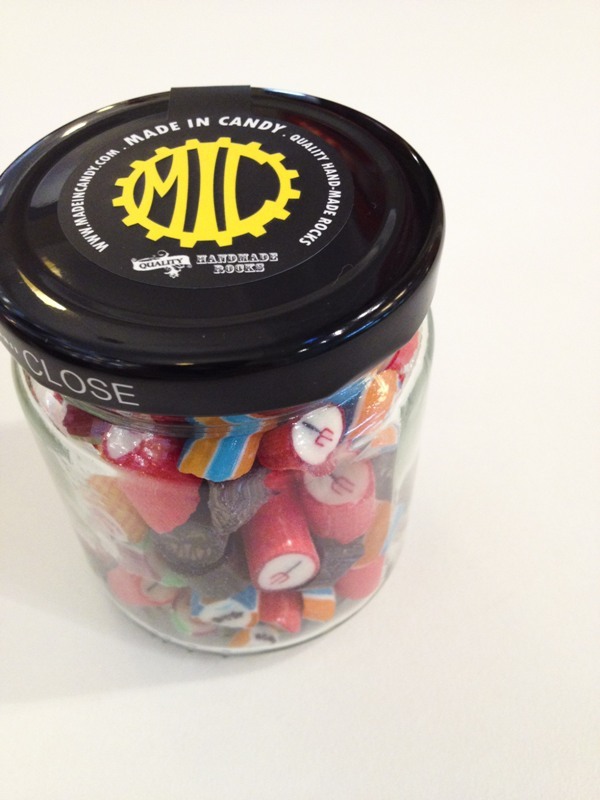 We were told that the minimum order for customized candies is set at four kilos. They also have pre-packed ones on display, of course. 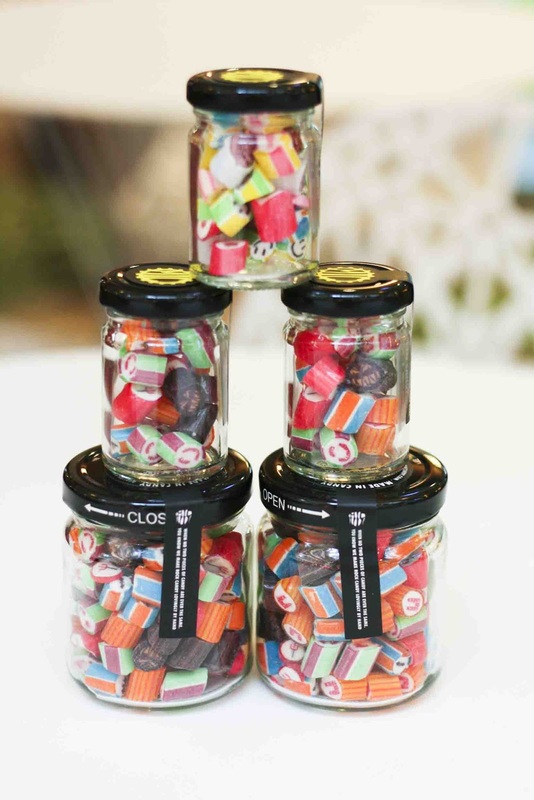 The two types of packaging (jars and foil) makes the products very much gift-worthy. Cute! There are three sizes of jars to choose from - Small 40g, Medium 70g, Large 200g. There's currently a single size for the Foil Pack which contains 70g of vibrant candies. The sweet factor is a big thing for us. Gorging on sweets should be pleasing, not irritating. MIC's candies has the right kind of sweetness and the different flavors are distinguishable even if you pop two at a time. 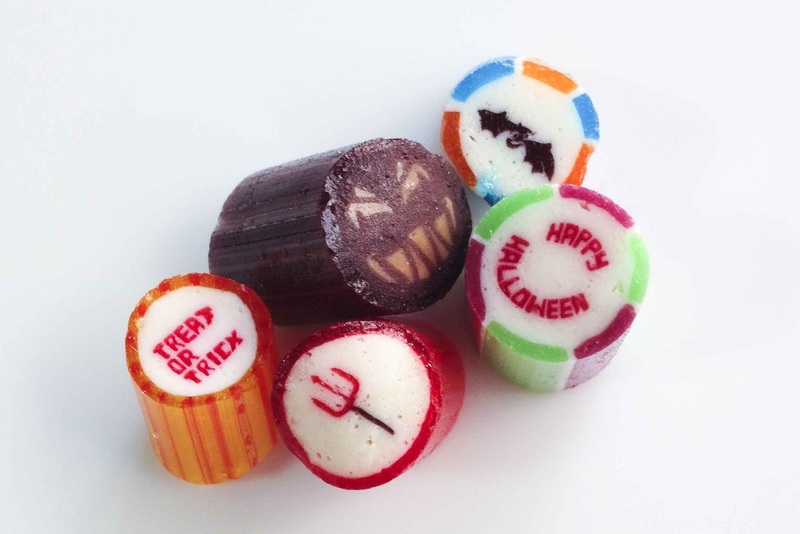 How cute are these mini Halloween sweet treats! The pitch fork's our favorite.